Are you one of those rare breeds who prefers to drink cold beverages 365 days a year? Well, you’re not alone because I am sitting here typing this as I sip my cold brew coffee and watch the snow fall outside my window. And this morning, I bring to you a gift for all my fellow cold drink-loving readers who probably feel a little left out this time of year because ordering an iced peppermint mocha from Starbucks isn’t nearly as fun when it doesn’t come in a fun holiday cup. Now, you too, cold coffee-aficionado, can enjoy an icy delicious beverage and feel as festive as Buddy himself because Starbucks is releasing a Christmas tree Frappuccino for a limited time. 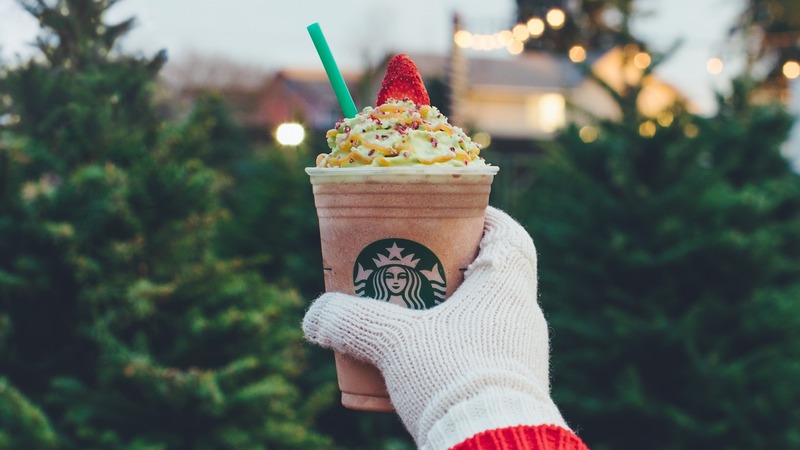 Um, what is a Christmas tree Frappuccino exactly? It’s even better than you’d imagine — let me show you. Yup. 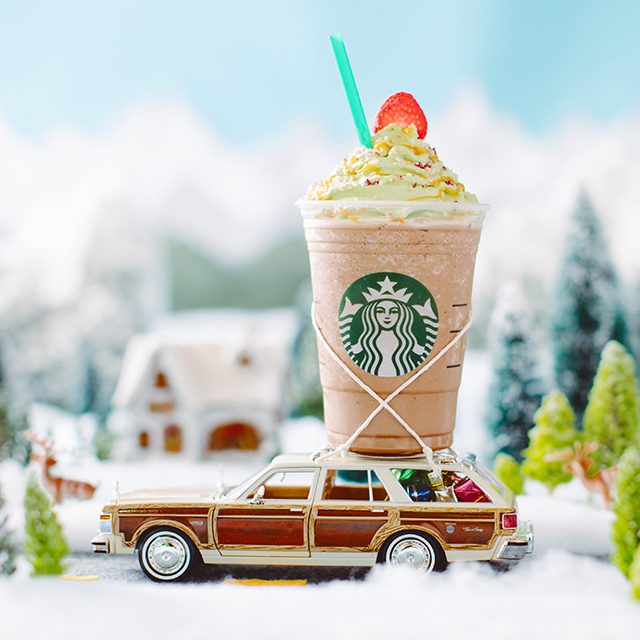 It is quite literally a Christmas tree on top of a deliciously cool Frappuccino. Starting today, Dec. 7, Starbucks will be selling these festive drinks at participating Starbucks locations in the U.S. and Canada. But don’t sit on this deal because these babies won’t be around for long. They are only available until Dec. 11 (four days away! ), so get your festive fix while you can. Now, we know they look great, but what do they taste like? The Frappuccino is the classic peppermint mocha flavor you already love topped with matcha whipped cream in the shape of a Christmas tree and drizzled with a caramel garland and topped off with candied cranberry ornaments and a strawberry tree topper. Amazing, right?